A64 Jade Tire Protectant Gallon will completely change the way you view tire dressings. 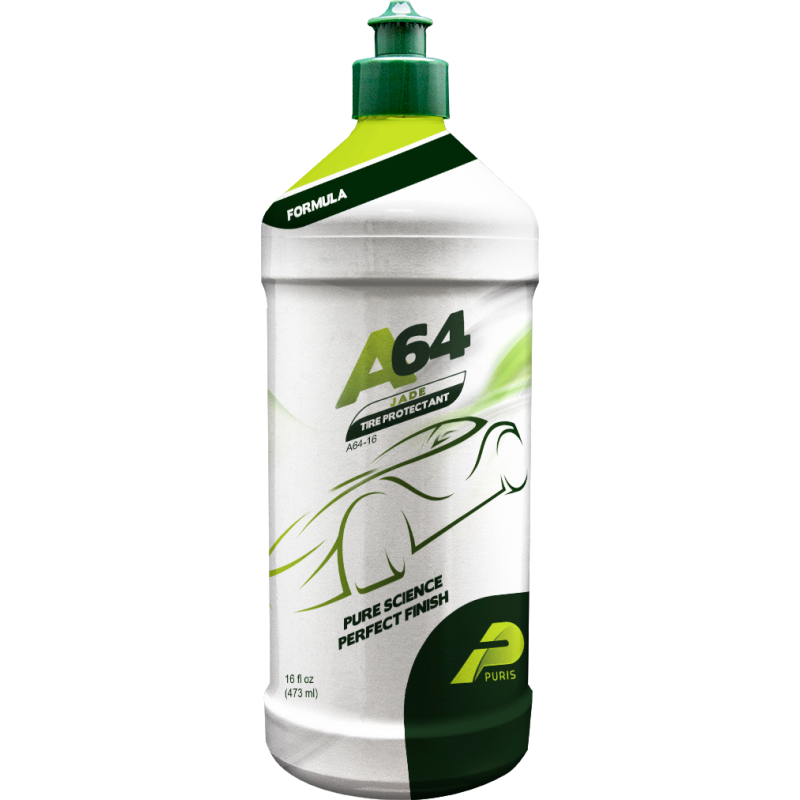 A64 is an acrylic based tire dressing that is water-based, non-hazardous, silicone free, and dries to the touch in minutes at room temperature. A64 forms a hard, durable coating on the tire yet remains very flexible. The dressing locks out water, repels dirt & contaminants and lasts months instead of weeks over a conventional, silicone based tire dressing. The level of gloss can be customized by layering the product with additional applications.